Samsung recently filed a trademark for the term "BRITECELL" with the patent office in the US, relating it to a mobile phone camera innovation. Given that the company developed a fresh 20MP sensor with RWB pixel arrangement, and claims that this color pattern would enhance sensitivity and improve the signal-to-noise ratio in low-light conditions, that purported superior performance in the dark may be the origin of the BRITECELL titling, too. 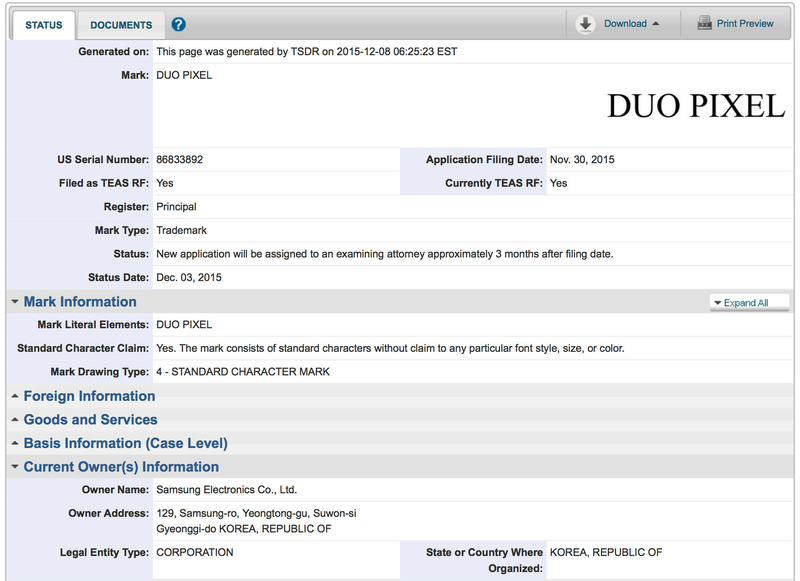 Today, there is a brand new marketing buzzword that popped up from Samsung's trademark patent filings, dubbed "Duo Pixel," and we can only guess what new technology will be lurking behind this phrase. It may be the new 12 MP sensor with a dual-PD (dual-photodiode) tech that Samsung may be prepping for mass production, a new kind of focusing system to replace phase-detection AF, or even a dual-lens camera that Samsung was rumored to be toying with. In any case, the more we approach the eventual Galaxy S7 season, the more camera-related rumors are emerging from Samsung, indicating that its next flagship might sport a brand new shooter system. Given that the Galaxy S6 and Note 5's cameras are among the best mobile snappers out there, we keep our hopes high for what Samsung has in store for the S7. Duo Pixel is different from HTC's Duo Camera and UltraPixel. Samsung BRITECELL use RWB pattern not RGBW. It's really similar to Aptina (Now ON Semi) Clarity+ sensor back in 2013. And this Duo Pixel also sounds similar to Canon Dual Pixel, i hope this new Duo Pixel is not "the same old tech" with different name. And it's apparently different from yours! They haven't done it much lately, but until 1 year ago they were too much into it! 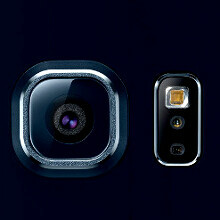 Samsung knows that there is a time when to release the final product with benefit both to consumers and to the company. Samsung own made sensor will definitely cut down the cost of production resulting in lower price of smartphones for buyers. Reduction in cost of production? Yes. Lower price for buyers? I wish, but no.